We've got everything you need to keep your garden picture perfect all year through, from hand tools to mowers and everything in between - where there's a Wilko there's a way to make your outdoor space amazing. 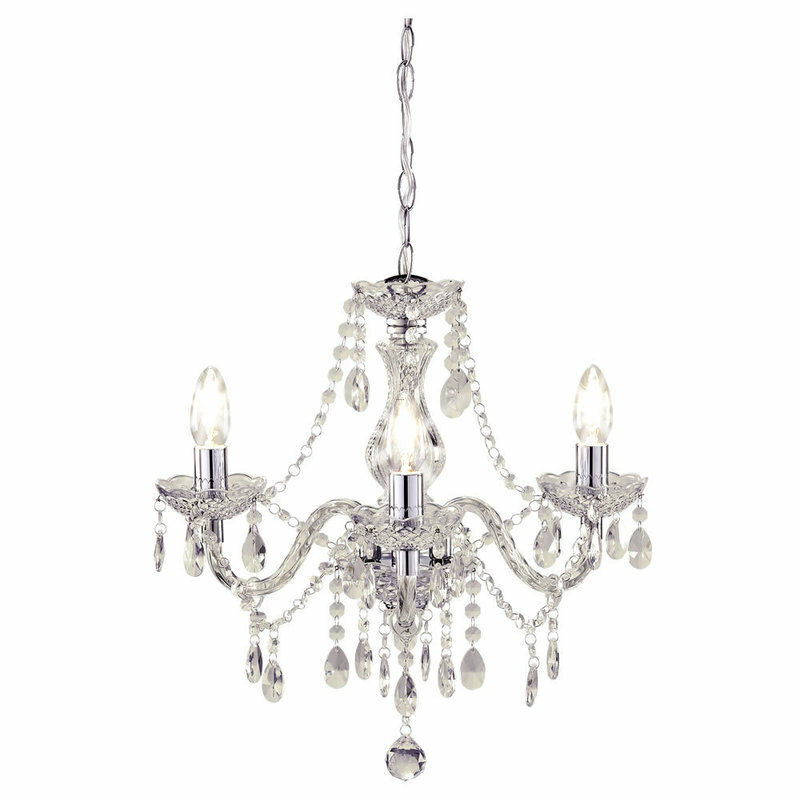 Add a little sparkle to your room with our Marie Therese three-arm indoor chandelier. A true statement piece for bedrooms, living rooms, dining rooms or hallways, this chandelier's candles are surrounded by a mass of crystal-effect beads, which twinkle to reflect the light beautifully. Measuring 46cm wide, this three-arm electric chandelier has an adjustable drop of between 54cm and 114cm. The crystal ceiling light fitting requires mains supply, wiring and some assembly, for which full instructions are provided. It is for indoor use, is not suitable for bathrooms, and takes three SES 42W candle bulbs or 11W energy savers, which are not included. Always read instructions.